Before contacting the community, do your pre-engagement research and ensure that everyone on the team who will be in contact with the community has a full understanding of the history, worldviews, culture, and traditions. This research will be helpful in getting you off on the right foot. We also suggest every member of your team, from the person who answers the phone to the president, enroll in cultural competency training that provides practical skills and tools and prepares everyone to work respectfully and effectively with Indigenous communities. Reach out to the chief/community leadership with a formal written letter, signed by the president of the company. Your introductory letter should provide an outline of your project and be light on the technical terms. Include a request for the opportunity to meet in person with the chief/community leadership initially and a meeting with the entire community at a later date. In this phase of engagement your cultural competency training will really pay off. You will know how to approach the situation via joint problem solving, you will know how to dress, whether or not to take gifts, shake hands, make eye contact and a whole host of other insightful tips and guidelines. Take the time to understand why the community may be hesitant to share some cultural information with you. Try to look at their situation through a historical lense and realize how hard they have had to fight to protect their culture and land. Keep in mind small communities may not have the capacity to deal with the demands on time and resources for consultation, permit applications, traditional ecological knowledge studies etc for your project. Provide a draft timeline of site visits for the community at each stage of the project development; transparency through every phase of a project is respectful and always appreciated. 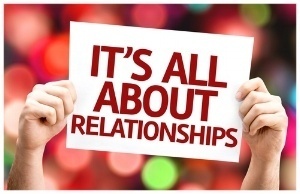 Building on and maintaining the relationship is just as critical as initial engagement. One of the mantras of meaningful engagement is “early, often and ongoing”. Ensure that community issues raised in the Initial Phase are being addressed and communicate how you are addressing them; and, follow through on commitments made during the issues engagement. Respectful engagement with a community is more than “getting them on-side” for permit approval. Achieving support for your project is not the means to the end - it’s a step together in a long relationship. Indigenous engagement unfortunately is sometimes viewed as either a box to be checked off on the path to project permitting, or a process that must be endured/undertaken for the sake of appearances. From our experience, when an organization commits to Indigenous engagement the team involved often comes away enriched, humbled and grateful for the opportunity to engage with and learn from an Indigenous community. Click the Training Week image to see where & wehn our next 'Creating an Indigenous Engagement Plan' training will be held.